A complete Application with quality elements is the fastest route through the review process. Site Plan vs Record Plat | What is the difference? A Site Plan is a depiction of an individual Lot detailing the location and dimensions of the Existing Structure (your home). In contrast, a Record Plat is a depiction of multiple Lots without Existing Structures (homes). 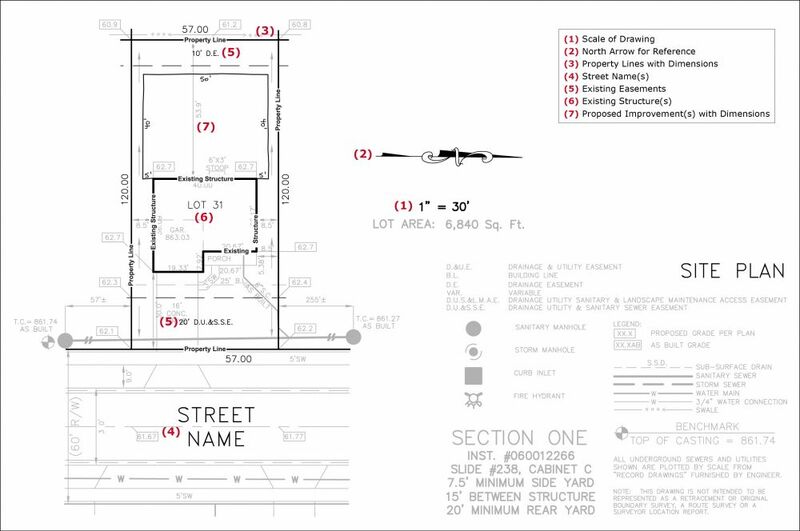 While both documents include important elements such as property lines, dimensions, and easements, a Site Plan's additional details make it the preferred choice for a complete Application. Drawings and Pictures | When are they important? Though the Site Plan is the primary tool for communicating a Proposed Improvement, some details (such as the design of a landscape bed as shown below) cannot be depicted. 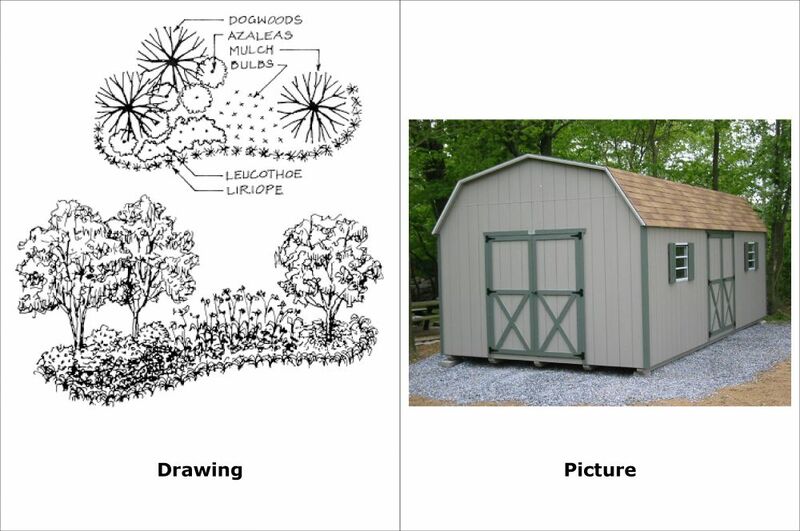 When used as a Site Plan's complement, the right Drawing or Picture can enhance the Application's story. 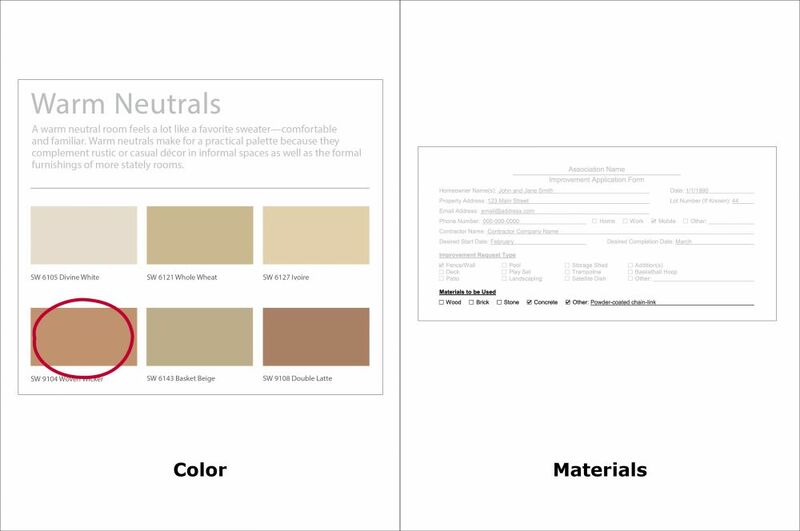 Color and Material Samples | Why are they required? The Application review process exists to ensure installed Improvements honor the Association's standards. Both selection of Color and use of Material should be harmonious with the design of the Community. Want to see examples? Click the images below to zoom in for more detail!